(Screenshot taken from Facebook Live) Mills College President Beth Hillman spoke on campus at June 12 to concerned community members about proposed cuts to faculty and departments that would take place under the current financial stabilization plan being considered by the Board of Trustees. The office of the president and other members of administration held a Mills Commons meeting on Mon. June 12 to update and explain the results of the Financial Stabilization Plan (FSP). Proposed by the board of trustees, the plan aims to cut $1.5 million in instructional salaries at the expense of programs, departments and faculty members. President Beth Hillman and Dr. Chinyere Oparah, provost and dean of faculty, explained a PowerPoint detailing the FSP’s cuts including a breakdown of the plan‘s goals, recommendations, and savings. The specific faculty and staff that are proposed to be cut were not named but Hillman said the administration was working with each person individually. The meeting was followed by a brief question and answer portion. Jay Gupta, an associate professor of philosophy being cut along with the philosophy department, questioned the purpose of tenured status with no security. Many attendees aired grievances about how they personally would be affected by the layoffs of specific faculty in their department. Brooke Worthington, a junior philosophy major, was unable to ask a question with mic in hand after the meeting ran over time. As of the time of this article, there were no plans for future community discussions hosted by the administration concerning the FSP. 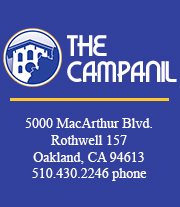 Stay tuned for more updates from The Campanil.